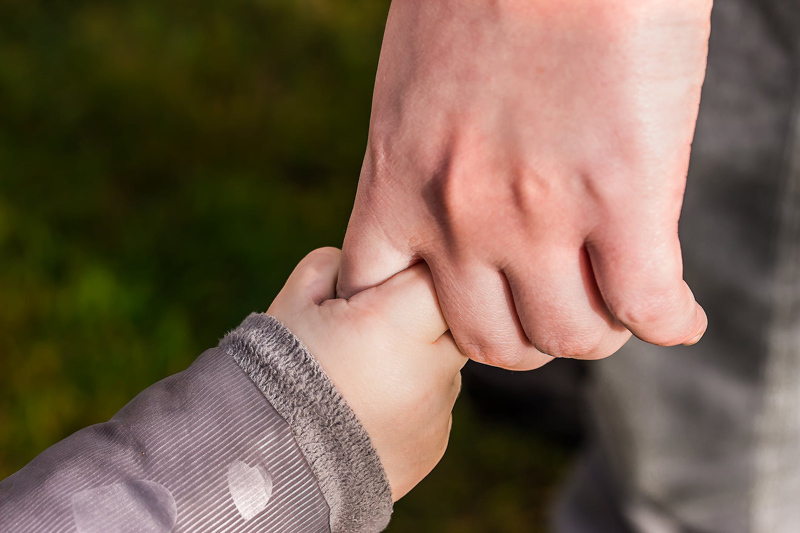 Teaching family members to care for a child with a developmental disability like Down syndrome or autism, or a chronic health condition like diabetes, asthma, or allergy, may be more difficult for parents than training a neighborhood babysitter or other caregiver. Some relatives may be less likely to follow your rules, respect your expertise, or remember your directions. Where a relationship is already established, making changes in the way you prefer to support and encourage your child during behavioral difficulties or to keep them safe and healthy can be difficult for adults who feel comfortable with the habits they've already developed while interacting with your child. Some relatives don't realize how important maintaining a certain structure and way of doing things is to our children's sense of well-being and their own ability to deal with the challenges of their diagnosis or maintain their own health. Grandparents, especially in-laws, may balk at requirements that they believe are arbitrary or unnecessary in dealing with their grandchild. Aunts and uncles who do not have children themselves may not understand why we have established certain ways of doing things, and those who have children may believe that our children's behavior or other challenges are due to the 'best practices' or rules we establish rather than the reasons we adopted them. Cousins and even siblings may have such a different and positive (or negative) perspective of our son or daughter that they do not recognize how important it is to give them support in certain areas so that they can develop their competencies, talents and interests. Family members may believe that they are experts in a diagnosis because they are related to a child, or they have been told certain things by friends who have strong opinions and even some experience with a child with a similar diagnosis. They may even have read information on the internet or in magazines that lead them to believe there is a cure or treatment for our child's condition that we stubbornly refuse to provide them. Often, difficulties arise because we are not always consistent in the way we follow the rules we are trying to establish, whether through compassion, exhaustion, or peer pressure at family gatherings. Also, family members may not realize how vigilent we have to be to avoid some of our children with Down syndrome or autism running off to investigate other parts of a building, park or neighborhood. Many of our children have food restrictions that affect their health, behavior, or weight. Counting carbs for a child with diabetes, a relative may use a sliding scale for insulin to match enormous portions of food rather than figuring out how much food to give to match an average insulin dose. Children with celiac disease, food allergies, or diabetes may not be able to make healthy choices from unfamiliar menus, and indulgent family members might not realize that giving or withholding certain foods can cause serious health consequences. Our children quickly learn that certain rules are different away from home, and may learn to conceal those differences from us in hopes that they can enjoy forbidden activities or treats when we are not there to supervise. Relatives and other caregivers can be overwhelmed by information and instruction, or forget part of what we tell them is important, so it's helpful to provide a one page summary using big print, with ample cell phone and emergency information. A book with general information on dealing with childhood emergencies is also a good investment for any household where our children will spend time. Sometimes family members are well-informed, vigilent, and determined to act in the best interests of a child just as we have instructed, and something unexpected happens. We need to remember that these events sometimes happen when we are caring for the child ourselves, to forgive and reassure the relative in charge who did try their best.